← Now officially a Romantic Novelist! 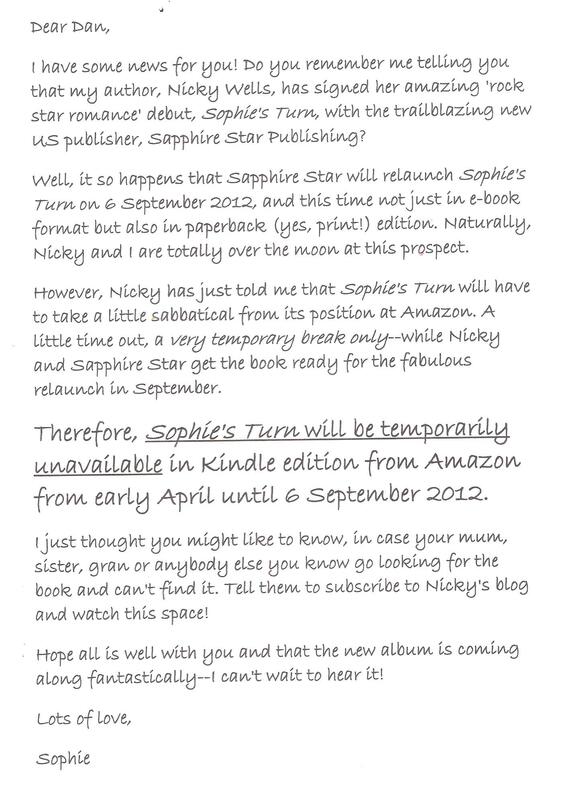 This entry was posted in Rock Star Romance, Part 1: Sophie's Turn, Sapphire Star Publishing Book Launch and tagged Nicky Wells, Relaunch, Rock Star Romance Trilogy, Romance, Sapphire Star Publishing, Sophie's Turn. Bookmark the permalink. Thanks, Linn! It’ll be great! 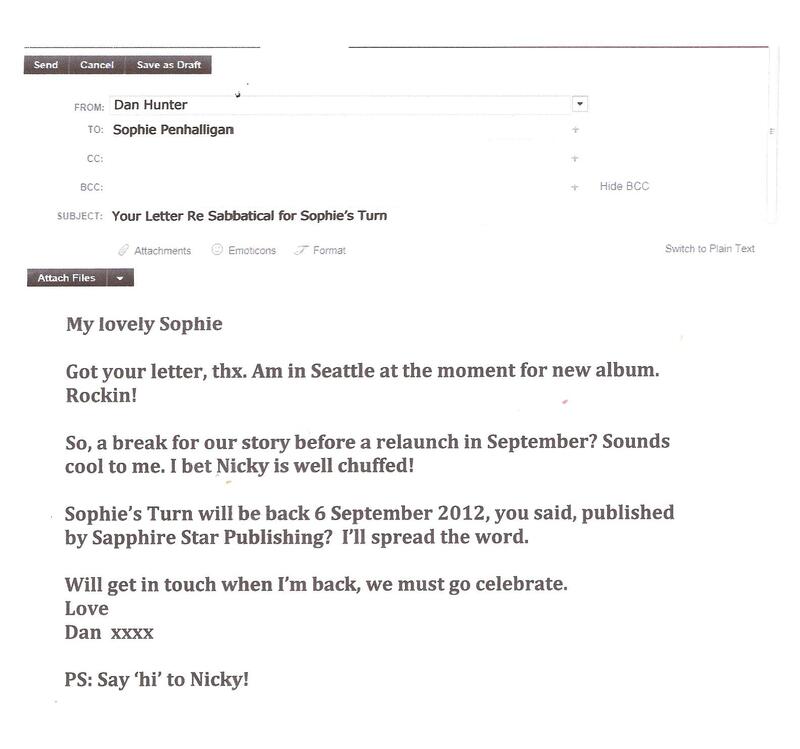 I’m looking forward to hearing more updates from Sophie as the working holiday for Sophie’s Turn goes on. Maybe she’ll even send a couple of postcards??? I’ll be in line waiting for the new launch! 🙂 Yes, very clever! I’m excited for September 6th. I will be waiting on tiptoes for updates from Sophie.